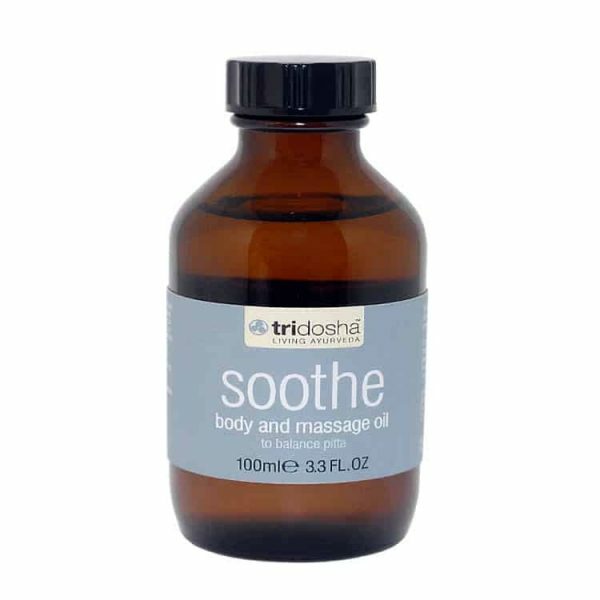 Tri-Dosha Pitta soothing and moisturising body oil. Enriched with Almond oil, Lavender and Lemongrass for a nourishing and soothing effect. Massage into the skin to help calm and encourage a peaceful mind. The soothing lavender and lemongrass help to gently ease tired, stressed bodies towards sleep. Active ingredients: lavender; lemongrass. A cooling formula that will leave pitta doshas perfectly powered down. Dubbed a ‘brain tonic’, it helps to calm and encourage a peaceful mind. Soothing lavender and lemongrass help to gently ease tired, stressed bodies towards sleep. Chamomile helps quieten the mind, while sweet almond oil deeply nourishes for beautifully soft, supple skin. ADVICE: Massage over the entire body using circular motions, always working in a upwards direction. We are in pursuit of a conscious planet. Are you with us? We do this by redefining ancient wellness for the modern age and helping people fall in love with an enhanced vision of health. Wake up and join us in the natural revolution.